Penny Was a wonderful girl. 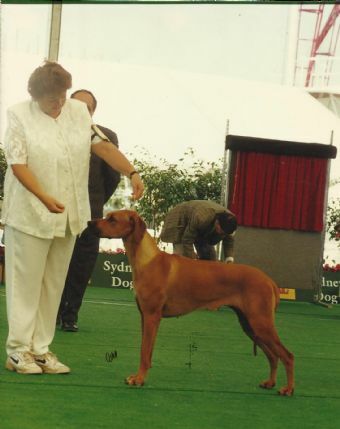 She was the first Rhodesian ridgeback to be awarded BOB at the Sydney Olympic precinct. She had a wonderful show career. with multiple Best exhibit in group and classes in show. 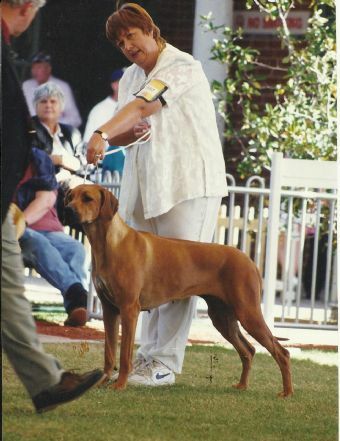 Her legacy has certainly been in her children and grand children with all going on to best in show or best in group awards and their progeny doing the same. At specialty level Penny shone through also with many class awards and prperty wins including best head and ridge.